We can't argue that Intel tops the six-core chip in terms of performance, and AMD was never on the idea of competing over benchmarks. 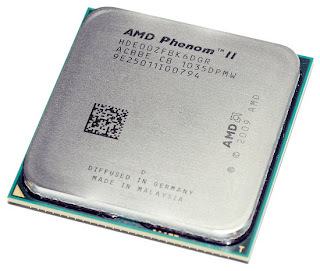 However, when it comes to expensiveness no doubt that AMD has that cheapest processor ultimately worth it in terms of performance, so same with $265 price tag for AMD's Phenom II X6 1100T claimed to be the fastest desktop processor to date, according to HotHardware review. So enough for this find out more after the break. The Canon LEGRIA FS22 is a 1.07 megapixel camcorder with a CCD sensor. 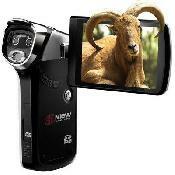 It is equipped with 37x optical zoom and 2000x digital zoom. The LEGRIA FS22 sports a 2.7-inch LCD color display, Auto focus, a digital still camera function, with an inbuilt 32GB internal memory, USB cable and a Li-ion rechargeable battery. The new Acer Iconia is a unique Dual touchscreen display laptop that comes with a touchscreen LCD display instead of physical mechanical keyboard. It is more or less very similar to the Toshiba Libretto W105 that is also a dual screen laptop without a physical keyboard. 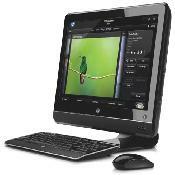 It operates using the Windows 7 operating system and powered by the Intel Core i5 processor. 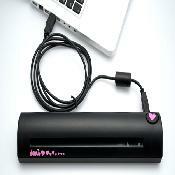 It is also compatible to 3G networks, and comes integrated with a HDMI port, and Dolby Home Theater v3. This very different kind of laptop comes with Dual 14-inch multi-touch displays, both having a resolution of 1366×768 pixels and a high-brightness Acer CineCrystal LED-backlit LCD. The surface of the display is an ultra-thin, durable Gorilla Glass, which is scratch and fingerprint resistant. 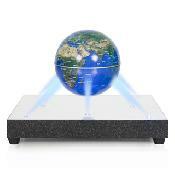 This unique form of hardware provides you with a few additional advantages and features such as a gesture editor with which you can set customized gestures in order to launch specific applications by assigning shortcuts, you can also open websites, or view your desktop or lock your computer just by assigning gestures to them. The Gesture Editor also offers you a very simple and intuitive way to personalize your ICONIA Notebook to your needs. The virtual keyboard can easily be launched using Acer Ring or by placing both palms on the bottom display. This intelligent design automatically senses the position of the user’s palms and launches the keyboard. It basically presents you with a with a full-sized QWERTY layout with easy international language support in order to give users the same experience of a regular physical keyboard and also provides you with predictive text input for faster typing speeds while avoiding mistakes. How to get a grip on your Iphone ? Not a common question to ask or get asked but if you find your iPhone 4’s glossy body to be slippery for your hands and fancy a unique style change. For $30, you too can now carry a pseudo ping pong paddle around with you at all times with the new Incase Ping Pong cover for your iPhone 4.